> Search for "3 pallets"
I used 3 pallets to make a mud kitchen using an old sink then painted it in bright colors, my granddaughter loves it! Red mahogany & dark walnut computer desk built with pallet wood. 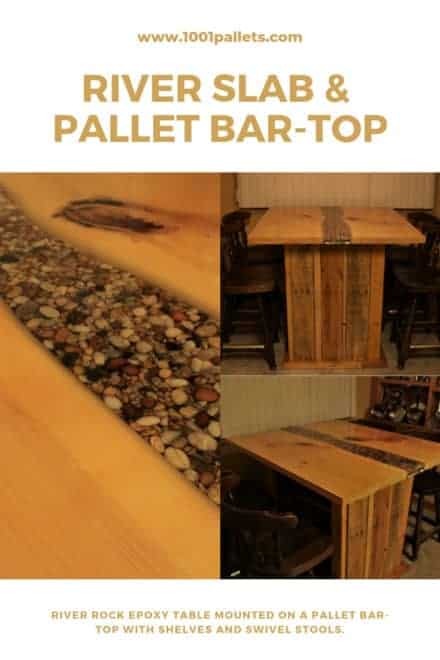 This pallet coffee table integrates two tray tables on cantilevered hinges and lots of storage space. I made this hutch to place on top of my desk for extra privacy and storage. I thought I would give a try at building something. The idea started out as a bench for kids but as I got working on it, the bench looked more adult scale. I started with the idea of a 3-foot bench. I measured how tall my son was and I figured I needed it at least a foot and a half high with the seat about 2 feet long and I made the back 2 and a half feet off the bottom. It turned out better than expected and I forgot to take a final picture before I sold it. 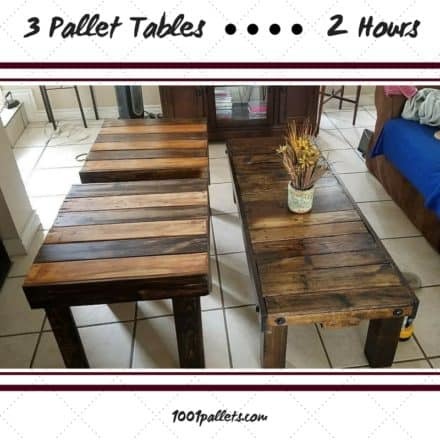 ($100) I spend 10 bucks on screws and 5 on stain and sealer. Began with full pallet for front, and cut 2 pallets at same size for sides. Sanded for hours and stained. For the final touch of the main part of the bar, I first put a coat of pre-stain to prepare surface. Then, printed and cut pics, glued using modpage that worked great. once dry, I applied 3 coats of epoxy. Fun to work with but make sure wood is level, and you have plastic under project. Came out really nice. Added colored lights for effect. 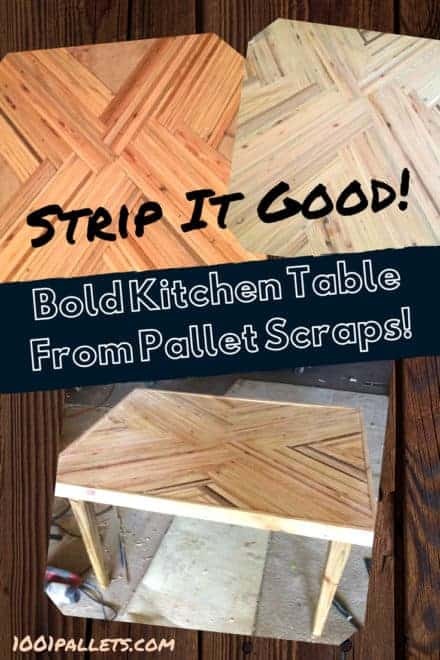 Create This Stripped Kitchen Table With Pallet Scraps! 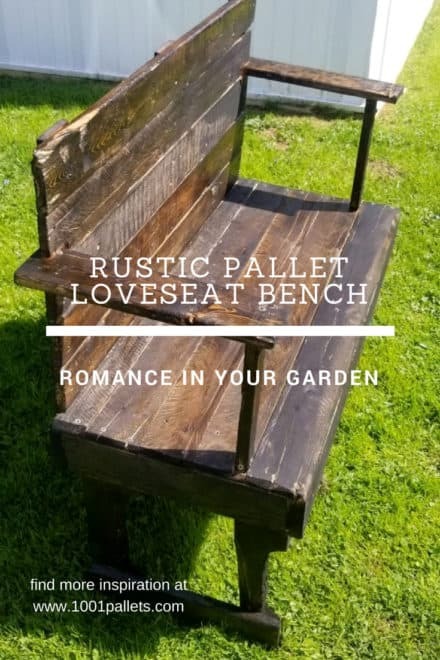 Wondering what to do with your pallet projects left overs? 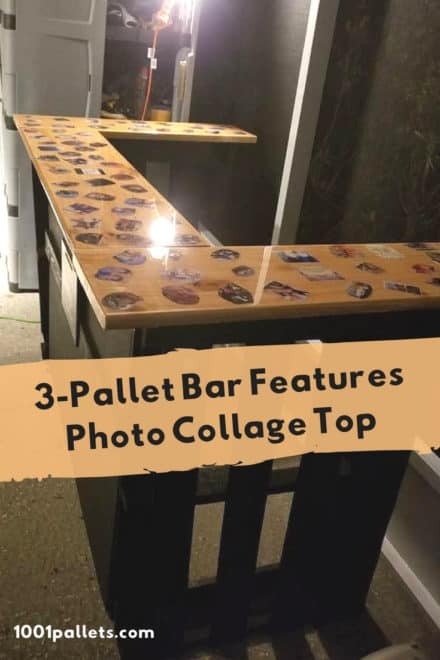 Here are a few projects that I’ve done recently after discovering the beauty some pallets have. Some pallets may only have one or two nice pieces, so that’s what I do.  I look for pieces of good wood and take them until I have enough to complete my project. 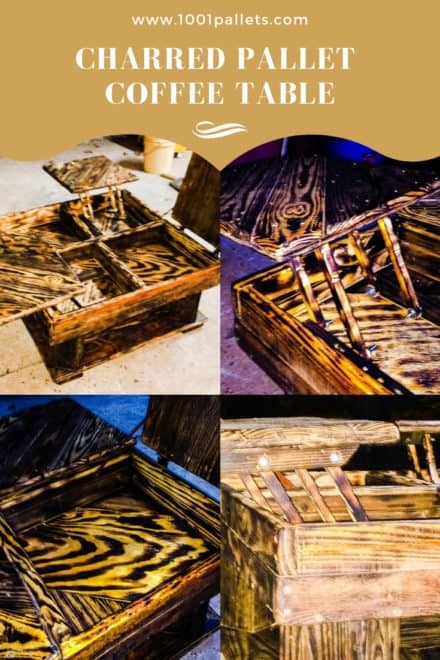 Every piece is hand-picked and each project may contain many different types of wood. 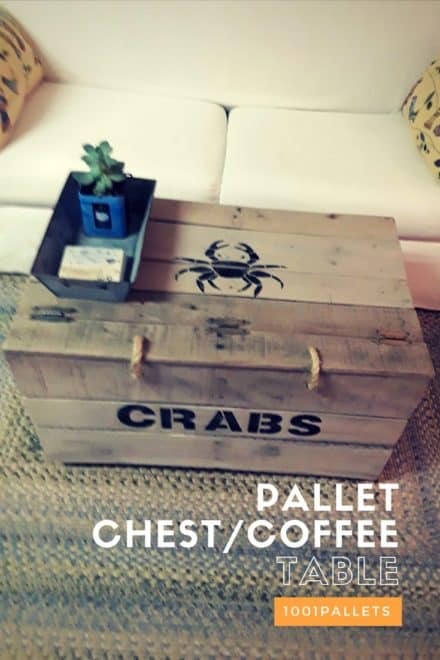 I made this crab crate coffee table for my “beach house style” living room in Florida. 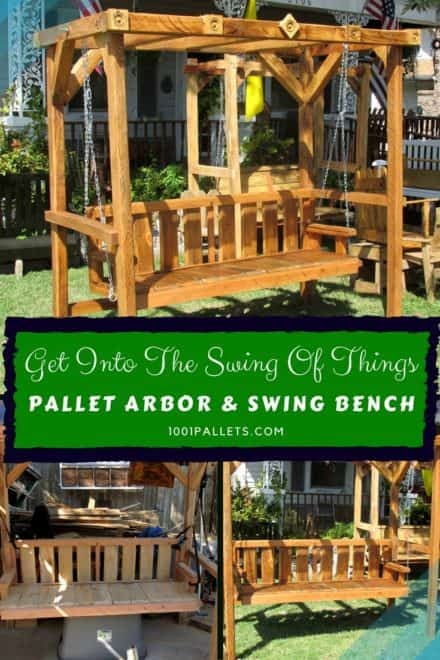 Awesome Pallet Arbor With 5-foot Swing! 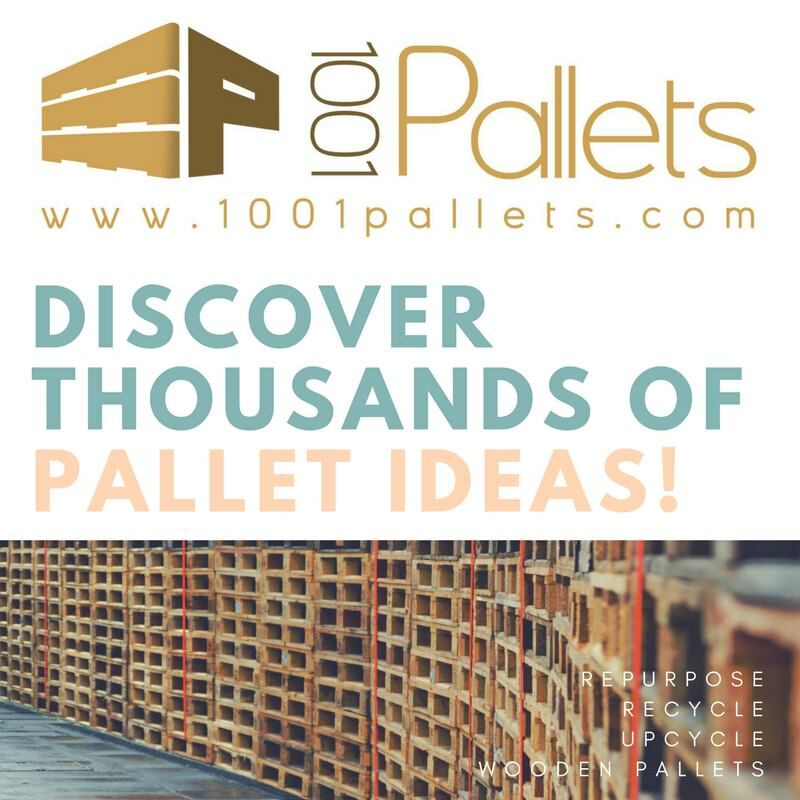 This was a horror movie I was called on some free pallets when I got there the small ones were 9′ long and weighed a ton but I promos I would haul them off. Now what to do with them lol ?? Well, I surprised my self one day of looking at them plus I had just made some porch swings.